Heavy-duty bumpers are your truck’s best defense on the road. They act as a shield to absorb shock in accidents, prevent front and rear-end damage, and protect your hood, engine, exhaust, and cooling systems. Buckstop Truckware® fully engineers and manufactures their strong, top-quality bumpers in-house using carbon steel, aluminum, or stainless steel. Each material has many advantages that will benefit different drivers. Carbon steel is the standard for Buckstop Truckware’s heavy-duty bumpers. This durable, cost-effective material is best at absorbing impacts. Off-road truckers who drive on heavy terrain will love its strength and durability; bumps, dents, and scratches won’t affect its protection power or slow you down. Just keep in mind heavy bumpers affect your truck’s handling, so you may want to upgrade your shocks and springs to accommodate the extra weight. Aluminum isn’t as strong as steel, but if weight is an important factor, it’s a lighter alternative that won’t affect the quality of your ride. The material won’t rust, so it’s great for trucks that often encounter water or mud. 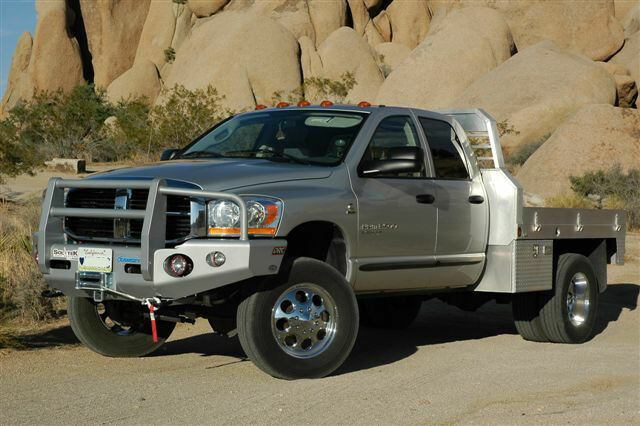 Buckstop Truckware’s aluminum bumpers are powder-coated for added protection. Stainless steel comes at a higher price, but it’s stronger than carbon and has the anti-corrosion benefits of aluminum. The chromium in stainless steel acts as a protective layer and prevents rust. Its mirror-finish polish attracts all kinds of truckers regardless of their driving needs. Its weight is in between that of aluminum and carbon steel, so it offers durability without being too heavy. If you need a heavy-duty bumper to protect your truck on tough terrain, contact Currier’s Certified Welding in Kalispell, MT. This welding and steel fabrication company turns metal into works of art. Whether you need a new bumper, flatbed, or snow plow for your truck, they provide each customer with individualized services and create superb products. Visit them online or call (406) 752-­2366 to learn how they will create custom truck accessories just for you. Other Announcements, Events and Deals from Currier's Certified Welding Inc.